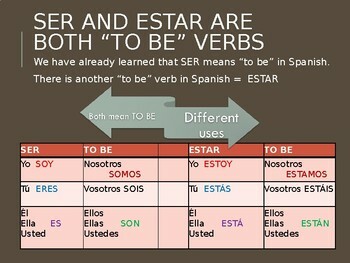 Spanish Lesson: Introduction to SER and ESTAR. 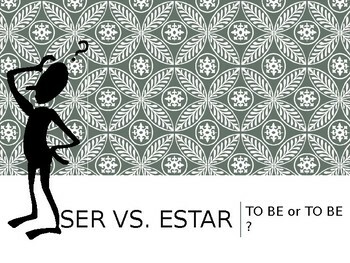 This is a useful beginning Spanish PowerPoint presentation that simplifies the differences between SER and ESTAR making it easier for your students to distinguish between the two. 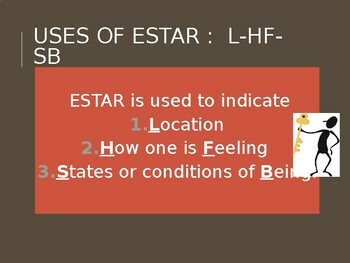 The presentation provides each verb with 3 major uses and lots of examples. Visually stimulating as well. 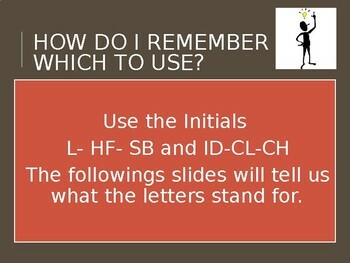 Disclosure: Formatting may shift during this download...thumbnail images look distorted. May have to reformat to suit your tastes.